What a successful franchising year for TWO MEN AND A TRUCK®! | Franchising You. What a successful franchising year for TWO MEN AND A TRUCK®! 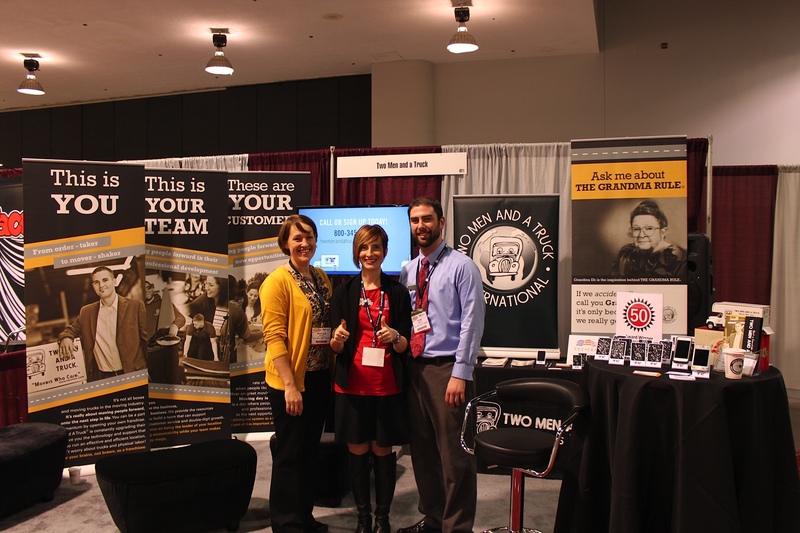 The TWO MEN AND A TRUCK® franchising development team enjoyed a successful year signing on new franchisees to the system. Throughout 2013 they jet-setted from coast to coast, determined to find the perfect franchisee prospects to add to the growing footprint and to assist the TWO MEN AND A TRUCK® system in achieving our 2018 vision. 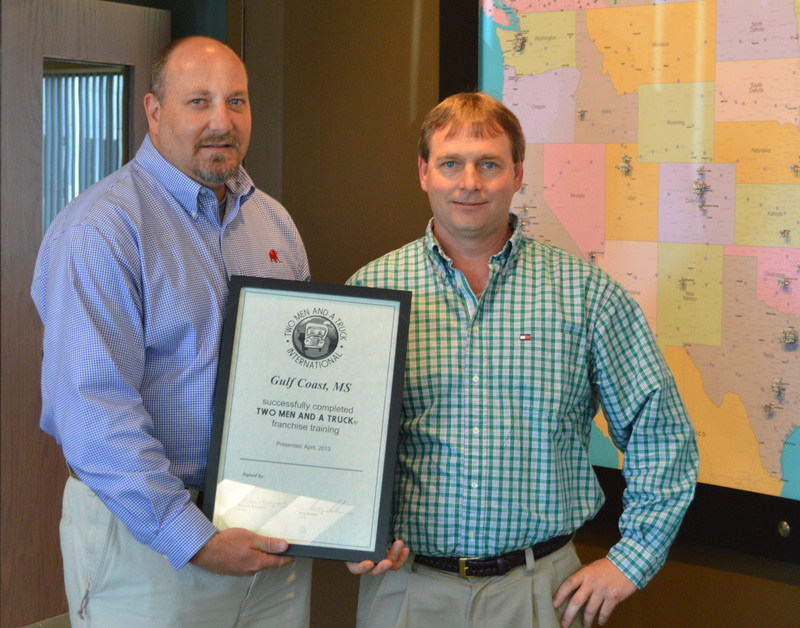 David and Eric Williams have both made significant accomplishments thus far in their lives. David, 56, is a radiologist and the owner of a multi-unit imaging center. His son Eric, 23, is currently a student at Florida Atlantic University and serves as an assistant coach leading the university’s swim team. The father-son duo added another title to their resumes: TWO MEN AND A TRUCK® franchisees. While Nick Bailey was in college, he was looking for a part-time job — that’s how he came to work as a mover for TWO MEN AND A TRUCK®. Once Bailey graduated in 1998, he moved back to Minnesota to pursue the dream with his father. By March of 1999, the two men had purchased the franchise territory, received approval from corporate and opened the doors to Minnesota’s first TWO MEN AND A TRUCK® location. Now, after four years of sweet success, and with the help of a fantastic team, Bailey is poised to take the next step by expanding his territory north into New Brighton, Minn.
Norcutt officially joined TWO MEN AND A TRUCK® at the age of 23, opening his first location in Raleigh, N.C., in January 1998 before developing locations in Indiana, Texas, Oklahoma, and Colorado. In addition to his Dallas-Fort Worth territory, Norcutt has retained his two locations in Michigan, one in Colorado and two in Oklahoma. By January 2014, Kyle Norcutt, now 39, will own the entire Dallas-Fort Worth market for TWO MEN AND A TRUCK®. Opening his first Dallas location in October 2008, Norcutt will expand his reach from eight to 10 territories, with four to five dispatch locations and one call center. Currently, the $7 million Dallas territory has 40 trucks and 120 employees, and Norcutt hopes to double these figures within five years of his expansion. Shane Jette was introduced to TWO MEN AND A TRUCK® by a couple who are currently franchisees with the company and with whom my wife and I have become good friends. For a while, he was doing mission work and worked for the couple in customer service on and off and recently started helping out full-time. 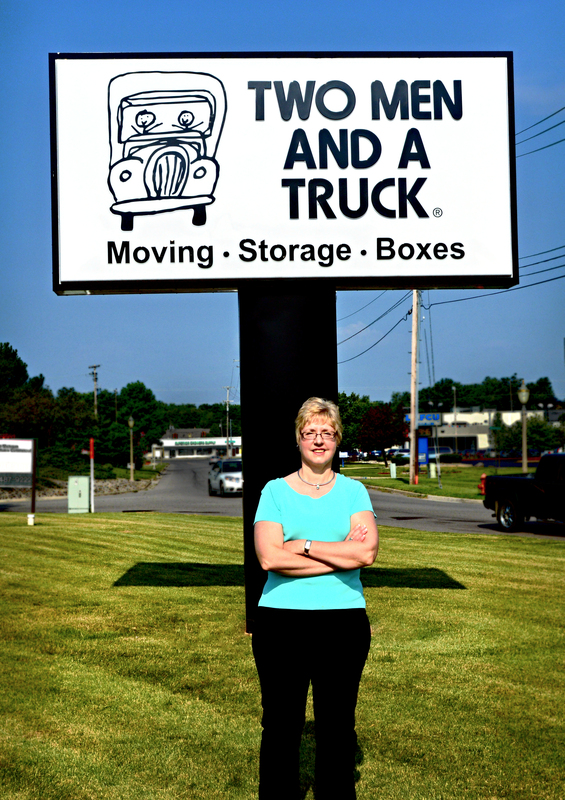 Jette currently resides in Ohio and will relocate to Portland in November to set up his TWO MEN AND A TRUCK® franchise. While establishing his new business, he will also start a nonprofit organization out of Portland. Kathleen spent a majority of her career working for the State of Michigan in the business retention and expansion division at the Michigan Economic Development Corporation. In her role as business development manager, she assisted companies with their operations growth and expansion within the state. Raised in North Carolina, Kathleen White is returning to the east coast to take on the next phase of her career – owning her own TWO MEN AND A TRUCK® franchise, a company she knows well. TWO MEN AND A TRUCK® had been a client of Kathleen’s; she was an integral part of developing and supporting the company during the brand’s corporate headquarters expansion in Lansing, Mich. Despite having a well-known name in Alabama and a football pedigree, Teddy wanted to pursue his own dreams of business ownership. When contemplating which direction to venture in, he started looking into new opportunities and consulting with close friends. Teddy has a few good friends who own TWO MEN AND A TRUCK® locations in various U.S. territories. David Richardson is not only a close friend but Teddy’s accountant, and Teddy saw the success Richardson, a TWO MEN AND A TRUCK® franchisee, has achieved in his own franchises based in Mobile, Ala., and Pensacola, Fla.. Territory: Top of Montgomery County, NC and Northwest Washington D.C. Husband and wife team, Les and Brooke Wilson, are opening their sixth TWO MEN AND A TRUCK® franchised location and bringing the growing moving company to the Bethesda, MD area—the first location to serve Maryland and Washington D.C. The entrepreneur couple has seen a plethora of success with the company at their three locations in North Carolina; covering Raleigh-Durham, Greenville, and Burlington, and two locations in Atlanta. Their healthy growth plans include another opening in Columbia, MD on April 1, 2014. Co-owners Bryan and Rebecca Feldman and Nathan Bocock have all worked their way through the ranks at TWO MEN AND A TRUCK®, culminating with the purchase of their second franchise together. The team already operates a total of three locations between the three of them, meaning the addition of the Richmond territory, and later the Chesterfield territory, will bring the total up to five franchise locations across the nation. Slack and Pollack had been trying to open up a business together, and after one attempt at an independent boat rental business, they began looking for different opportunities. That search would take two years of research before they found and decided to open their own TWO MEN AND A TRUCK®. “The more we heard, the more we liked,” said Slack. The team went to Lansing to meet with the corporate team and immediately had a “full speed ahead” attitude toward their Arlington, Va. opening. Slack plans to bring vision and experience to the finance side of the business, helping to make decisions behind-the-scenes so he can help the location grow as quickly as possible. Prior to opening the Gulfport franchise, both Gwin and Swindle worked in the roofing industry. With the opening of the Gulfport location quickly approaching, their focus has been on hiring and training staff and purchasing a fleet of trucks to meet demand. Prior to opening the franchise, Erin Whitty served in a variety of roles, including sales manager, general manager, and multi-unit franchise manager to the moving company’s other Atlanta-area locations. While working in these roles, she gained tremendous insight to opening her own franchise. James Bennett is currently a partner at Northern Valley Animal Clinic where he works as a veterinarian. He chose to go into franchising because he’s always supported the business market and felt he could pursue business ownership successfully through a proven franchise system. Since franchising is standardized and people find success doing it all over the United States, Bennett wanted to explore his own options. Additionally, because of his age, Bennett wanted to find something that could offer him a revenue stream after retirement.